As a response to the above quote, and with Robert Downey Jr.’s impending departure from their manger, it’s clear Marvel wants their latest hero to be the new Iron Man. Nabbing Benedict Cumberbatch for the lead role certainly is a promising start, but as their first foray into pure mystical storytelling, I have to question if Marvel really knows how to handle this character on the page. 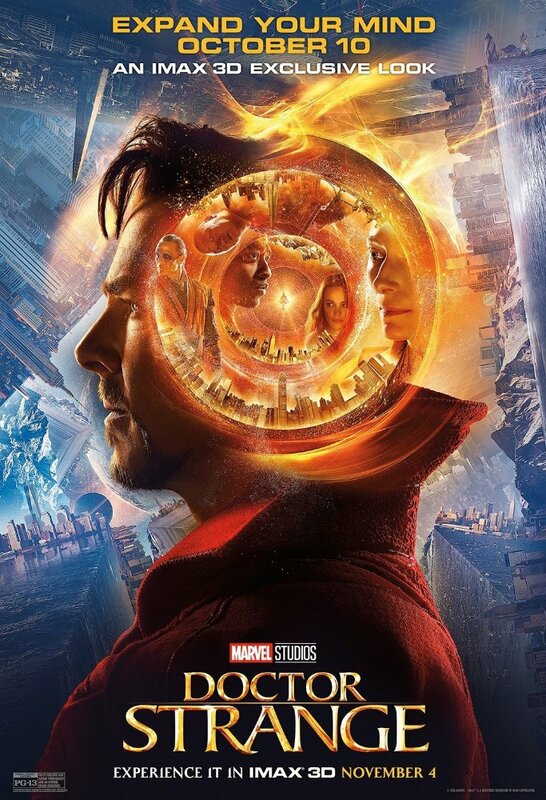 Doctor Strange packs visuals that really should be seen in IMAX 3D, and is one of those rare films which actually uses that extra dimension to enhance its multidimensional world. And so I wonder, with an easy chance to break away from the hindrances of their narrative routines, why did Marvel make Doctor Strange feel so normal? Neurosurgeon Stephen Strange (Cumberbatch) is the best at what he does, and with his cocky attitude, unafraid of bragging about his talents. His record proceeding over the operating table is pristine and without failure. Through his talented hands – big but nimble – he’s able to live the high life. This proves to be his own undoing though, crashing his fast car off of an enscarpment to the waters below. His moneymaker mitts and entire livelihood are ravaged, rendered useless by surgery and steel rods. Determined to get his life back, Stephen follows a grapevine rumor all the way to Kamar-Taj, a hidden community in Nepal devoted to the practice and preservation of mystical powers. The man is willing to do anything and everything to regain normalcy. Little does he know what’s in store. 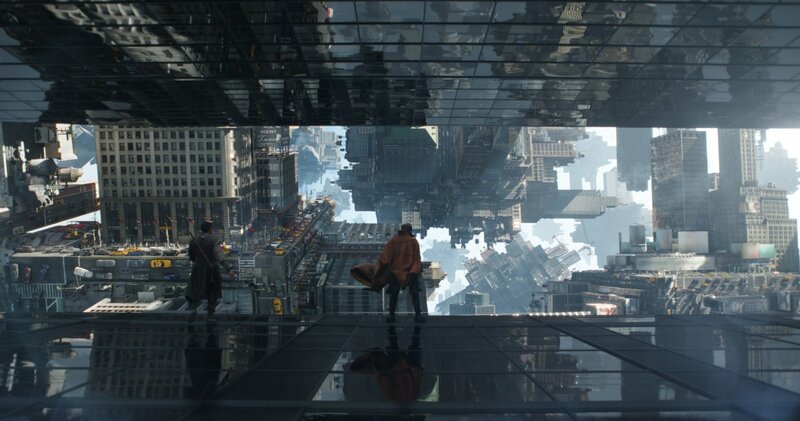 Regurgitating the basic plot of Doctor Strange only serves as further evidence that the film itself, while dazzling to the eye, is about as prototypical to the head as Marvel can get. There’s a romance with Christine (Rachel McAdams), a fellow surgeon who is around to offer Stephen reassurance. He meets Mordo (Chiwetel Ejiofor) and Wong (Benedict Wong), sorcery students under the tutelage of The Ancient One (Tilda Swinton). Wong’s only there to get easy laughs. Mordo, while promising, succumbs to being Stephen’s paling polar opposite. Neither character has an arc, instead serving as pieces of a larger plan. That plan, laid out by the film’s most interesting individual, is in tune with The Ancient One. She’s omnipotent, polite, wielding. She sees a piece of herself in the Doctor, yet she’s also seen that same braggadocious tenacity in former student Kaecilius (Mads Mikkelsen). 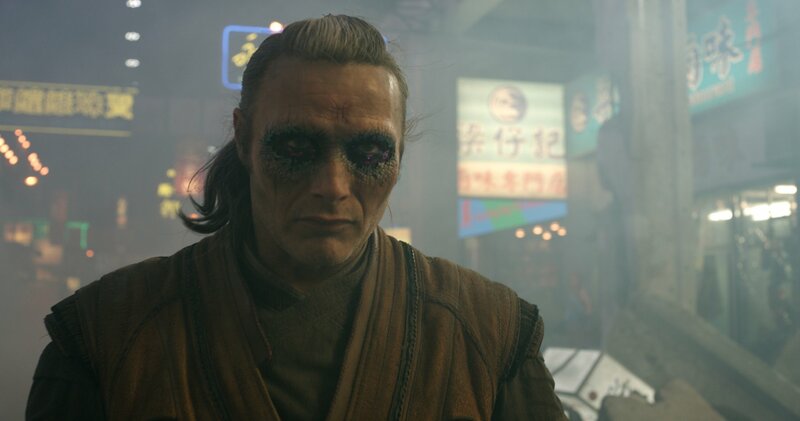 Kaecilius seeks to summon a dark dimension not bound to Eternalism, free of time and death and hurt. Like any decent villain, his selfish actions, while destructive, at least have a little meaning. But what’s the motive? Doctor Strange, while beguiling in its tone and bewitching in its visual approach, just left me with too many questions. The beginning is fun and breezy. The ending is creatively spun, like a blend of the recent films Interstellar and Edge of Tomorrow. But Doctor Strange becomes lost through the bends and folds of its enormous middle act. Stephen is a new character and requires three things: an introduction, examination, and a sendoff from current events. All three happen, and the problem is that most of it happens through exposition. Director Scott Derrickson’s movie is more summer appropriate, so inflated by bad jokes and corny dialogue and visionary frames that you pine for a different experience. One that was this dumb but didn’t try to be so smart. That embraced a second billing at the drive-in’s last Indian Summer showing for the season. That exchanged the impressive fireworks for a sparkler in each of our own hands. 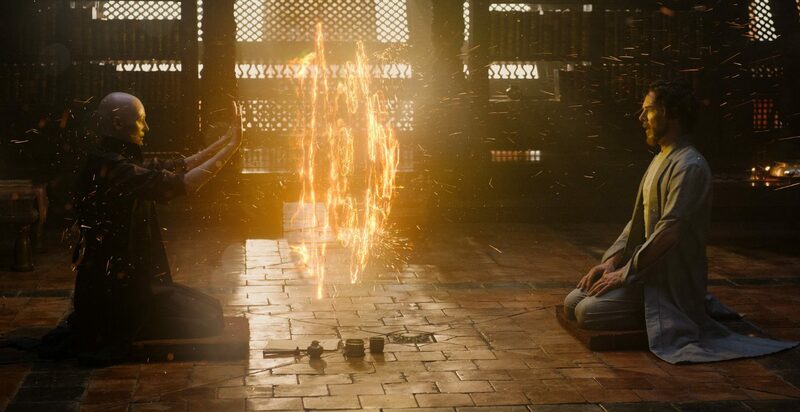 Doctor Strange makes little to no sense because it has no rules, but it looks good and feels good, and if you can trick yourself into a state of oblivion, you’ll probably be a whole lot more amused than I was.